This morning on Twitter ex-Christian and current agnostic David Bazan made an important statement in response to the current inexplicable divided state of America in response to the refugee crisis: "FAITH IN CHRIST AND NATIONAL IDENTITY ARE NOT COMPATIBLE". I relate to this statement personally, because as a Christian and an American, attempting to get involved in politics is impossible as neither party comes close to being a model of Jesus' teachings. What is ironic about his tweet is that Bazan does not have faith in Christ, yet greatly desires for his nation to help and support Syrian refugees. What led to his tweet? Over the past couple days we have had American political leaders stating publicly that they are followers of Christ and that they plan to close their State borders to Syrian refugees after the Paris tragedy. Sickening, right? This led me to think about the song "Jesus was a Refugee." First of all, the title of the song is true. Not only did Jesus teach us to love our neighbors (in this case, Syrian refugees), Jesus was a refugee himself. The people in the world (unfortunately mostly Americans) that are currently scared of refugees are so because they think ISIS terrorists and Syrian refugees are one and the same. That's obviously false, but even if it was true--guess what--Jesus also teaches us to love our enemies! 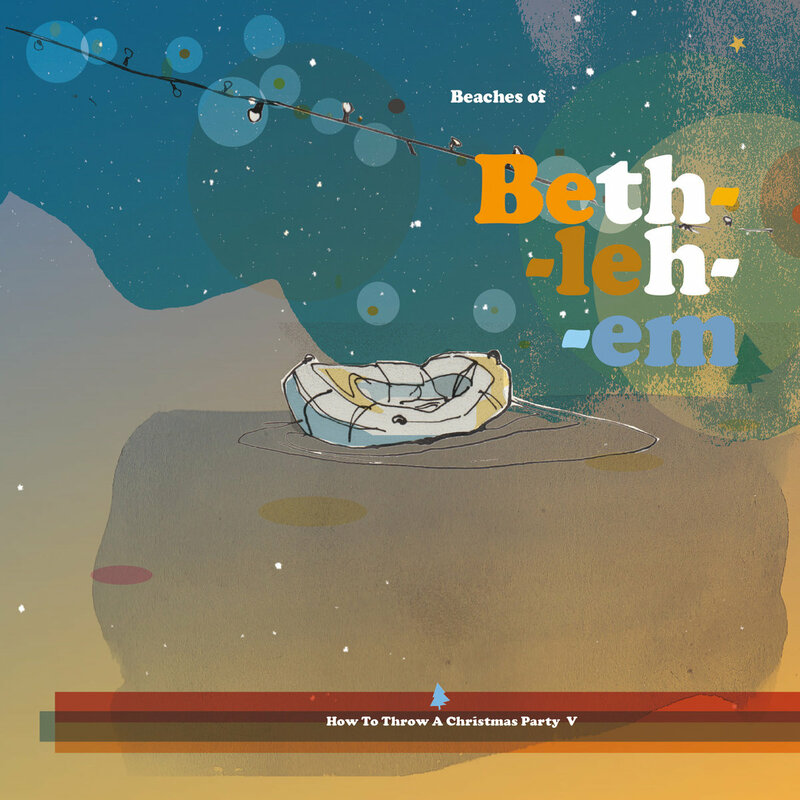 The song "Jesus was a Refugee" was released by the Dutch group How to Throw a Christmas Party a few years ago. How to Throw a Christmas Party is not a band per se, it is a loose formation of incredible Dutch musicians that have been collaborating and writing original Christmas songs for the last five years. Yesterday they released their new EP, the fifth release overall in the Christmas series. "How to Throw a Christmas Party" was originally the title of a Brown Feather Sparrow Christmas album. Brown Feather Sparrow is fronted by Lydia van Maurik-Wever, and she brings these musicians together annually to write songs and perform concerts. Her contributions are by far the best and most profound songs in the series. Arjen van Wijk (This Beautiful Mess, People Get Ready, Rowing On The Lakes Of Kanada, The Spirit That Guides Us, Van Dryver) is another principle writer and participant. One of the things I did not understand at first was the reference to "Christmas Island", so I did a little research. Christmas Island is an Australian territory in the Indian Ocean. There is an immigration center on the island that has found itself in many controversial and upsetting situations over the last few decades. For one, in 2010 a boat full of Iranian and Iraqi asylum-seekers capsized, killing about half the people that were on board. There is a reference to this event in the song. How to Throw a Christmas Party released another refugee-themed song one month ago, "Lift Her Up". Warning; the song is VERY upsetting. It is important, but don't watch the video unless you are ready to be shaken. All of How to Throw a Christmas Party's releases are "name your own price" (or free) on Bandcamp. You have no excuse to not download them (or order the CD versions) right now! If you are new to this series the number of songs can be overwhelming and it may be hard to find the best ones. Well, I'll do that for you here. This morning I created a "best of" album for How to Throw a Christmas Party. If you speak Dutch, your list might look a little bit different, because I didn't include many Dutch songs here (some are so beautiful though even not being able to understand the lyrics). Best of "How to Throw a Christmas Party"